The federal government is currently saddled with commitments for the next 3 decades that it will be unable to meet in real terms. Our economy cannot afford a major mistake in underestimating the corrosive momentum of this fiscal crisis. Our policy focus must therefore err significantly on the side of restraint. "I’d like to join in on the blame game that has come to define our national approach to the ongoing environmental disaster in the Gulf of Mexico. This isn’t BP’s or Transocean’s fault. It’s not the government’s fault. It’s my fault. I’m the one to blame and I’m sorry. I haven’t digested the world’s in-your-face hints that maybe I ought to think about the future and change the unsustainable way I live my life. If the geopolitical, economic, and technological shifts of the 1990s didn’t do it, if the terrorist attacks of September 11 didn’t do it, if the current economic crisis didn’t do it, perhaps this oil spill will be the catalyst for me, as a citizen, to wean myself off my petroleum-based lifestyle. ‘Citizen’ is the key word — it’s what we do as individuals that counts. For those on the left, government regulation won't solve this problem: government’s role should be to create an environment of opportunity that taps into the innovation and entrepreneurialism that define us as Americans. For those on the right: if you want less government and taxes, then decide what you’ll give up and what you’ll contribute. Here’s the bottom line: If we want to end our oil addiction, we, as citizens, need to pony up: bike to work, plant a garden, DO something. I haven’t done MY part (I have to convince my wife to give up her SUV)." 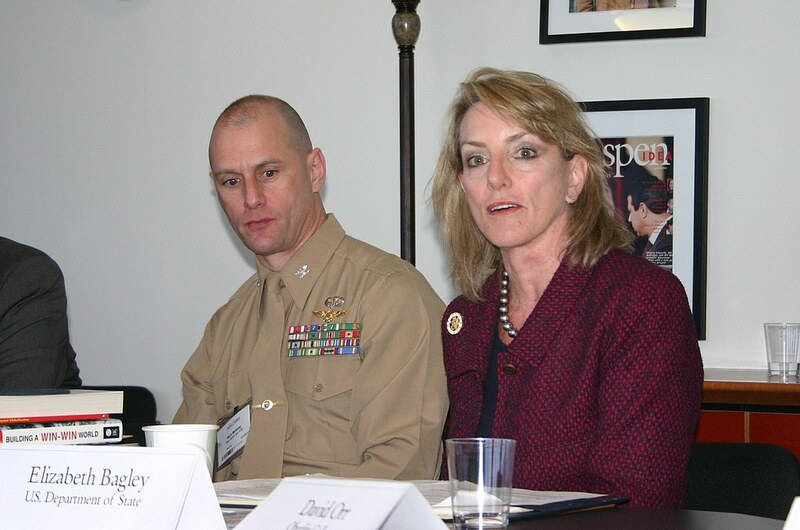 — Colonel Mark Mykleby, USMC, Special Strategic Assistant to the Chairman, Joint Chiefs of Staff. Oversimplify much, Colonel? BP's Statistical Review of World Energy appears to show that the world still has enough "proven" reserves to provide 40 years of consumption at current rates. The assessment, based on officially reported figures, once again pushed back the estimate of when the world will run dry. 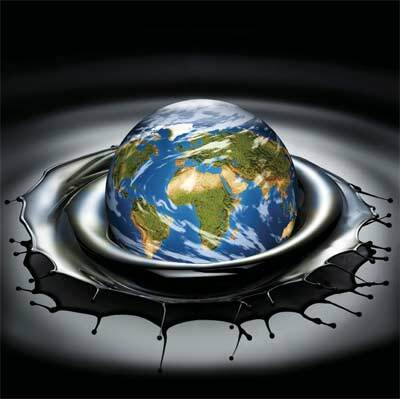 However, scientists led by the London-based Oil Depletion Analysis Centre, say that global production of oil is set to peak soon before entering a steepening decline which will have massive consequences for the world economy and the way we live. Colin Campbell, head of the centre, is a former chief geologist and vice-president at a string of oil majors including BP, Shell, Fina, Exxon and ChevronTexaco. In the 1970s Chris Skrebowski was a long-term planner for BP. Today he edits Petroleum Review and is one of a growing number of industry insiders converting to peak theory. "I was extremely sceptical to start with," he now admits. "We have enough capacity coming online for the next 2½ years. After that the situation deteriorates." What no one, not even BP, disagrees with is that demand is surging. Rapid growth in China and India matched with the developed world's dependence mean lots more oil must come from somewhere — and the demand accelerates. Today we consume a daily average of 85 million barrels; according to even conservative estimates, that will rise to 113 million by 2030. Impacted are farming equipment, pesticides, fertilisers, plastics, manufacturing, metal production, cosmetics, hair dye, ink, painkillers (lots more). 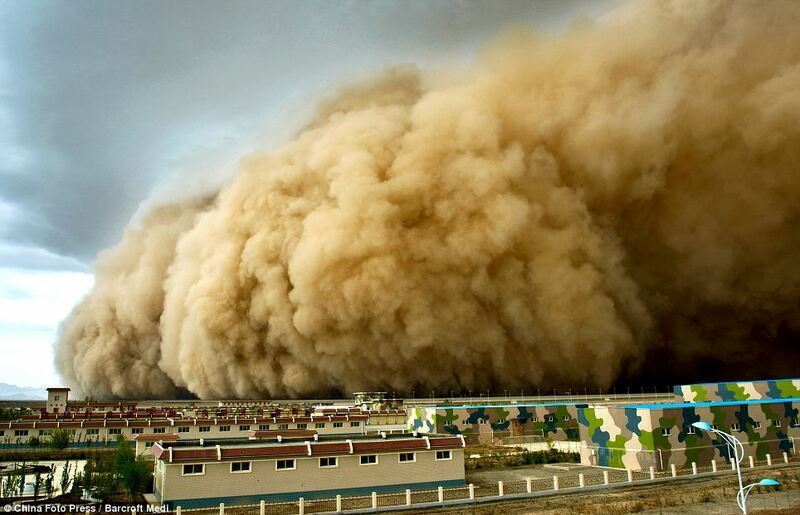 Like a scene from a Hollywood disaster movie, a towering cloud of sand dwarfs rows of uniform houses as it descends on a small village in central China. Residents hid inside homes with windows and doors locked as the dust storm swept through the region at 70 feet a minute. 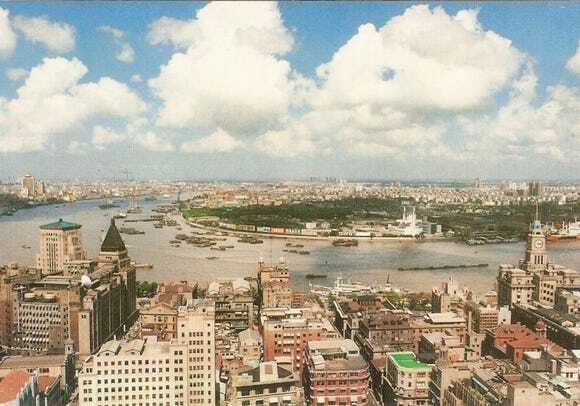 Golmud is home to 200,000 people with 140,000 living in the city centre. This new industrial city, built on a flat expanse close to the border of the Gobi desert (largest in Asia), is not an ideal place to live, but tens of thousands of people relocated there to work at the regional salt lakes. This prospect of a good job and lots of living space came at a price. Every spring strong winds blow across the Gobi creating huge columns of dust and sand, dumping it nearby. The dust causes power blackouts, transport delays and respiratory illness. More than a quarter of China — around 1,000,000 square miles — is sand; the Gobi covers the northern parts of the country. Bad news for the government is that the desert grows despite efforts to contain it. The process of desertification worsens via over-grazing, deforestation, urban sprawl and increasingly erratic climate. Sandstorms increased 6-fold in 50 years to about 25 a year; 80% occur March to May. 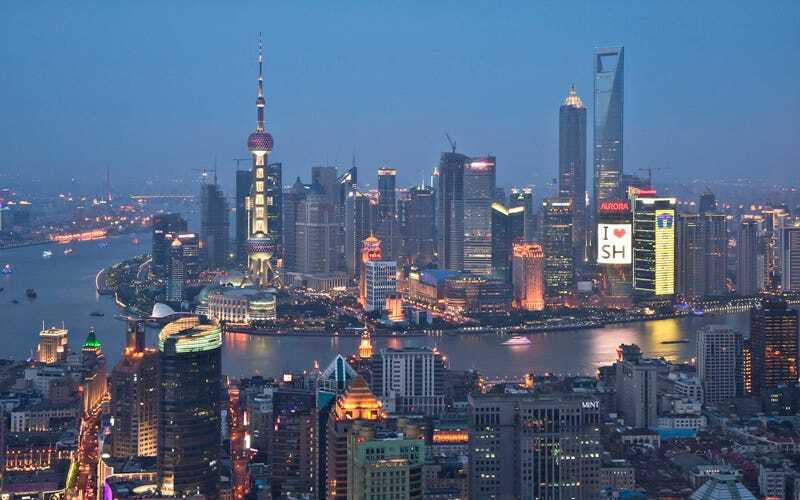 About 75% of the buildings were erected in the last decade. The Terracotta Army (literally "soldier and horse funerary statues" in Chinese) was made for Qin Shi Huang, the First Emperor of China. The figures, dating from 210 BC, were discovered near the emperor's mausoleum by local farmers in Shaanxi province in 1974. They vary in height (183 to 195 centimetres or 6 feet to 6 feet 5 inches) according to their roles, with the generals being the tallest (naturally). The figures include warriors, chariots, horses, officials, acrobats, strongmen, and musicians. Current estimates are that 3 pits contain over 8,000 soldiers, 130 chariots with 520 draft horses, and 150 cavalry horses. Their purpose was to help the emperor rule another empire in the afterlife. Construction, involving 700,000 workers, was begun when the emperor was only 13 years old. He specifically stated that no two soldiers were to be made alike. A book completed a century after the mausoleum was finished says that the emperor was buried with palaces, scenic towers, officials, valuable utensils and "wonderful objects," with 100 rivers fashioned in mercury. And, indeed, recent scientific work at the site has shown high levels of mercury in the soil (apparently none left in the "rivers"). Legend says the army were once real soldiers but the figures were manufactured in workshops by government labourers and also by local craftsmen. The head, arms, legs and torsos were created separately, then assembled like Legos. Studies show that 8 face moulds were most likely used, then clay was added to provide individual features. Once assembled, intricates were added to make each unique. Original weapons were rapidly stolen by robbers and colouring has faded. However, their existence serves as testament to the labour and skill involved and reveals the power the First Emperor possessed, enabling him to command such a monumental undertaking. 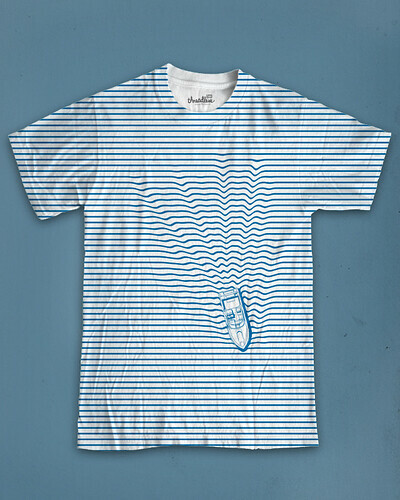 Tasing people has some negative connotations attached to it. Now, police in El Reno, Oklahoma are dealing with blowback from an officer tasing a grandmother just before Christmas last year. Police stepped on the oxygen hose of an 86-year-old disabled grandma in her bed until she couldn't breathe, then tasered her — twice — until she passed out. They then cuffed her. Her grandson had called 911 seeking medical assistance, the woman and her grandson have claimed in Oklahoma City Federal Court. Though the grandson screamed, "Don’t Taze my granny!" an El Reno police officer told another cop, "Taser her!" and wrote in his police report that he did so because the old woman "took a more aggressive posture in her bed." According to the complaint, Lonnie Tinsley says he called 911 after he went to check on his grandmother, whom he found in bed "connected to a portable oxygen concentrator with a long hose." She is "in marginal health, [and] takes several prescribed medications daily." Lonnie said she was unable to tell him exactly when she had taken her meds, so he called 911 "to ask for an emergency medical technician to come to her apartment to evaluate her." A dozen police officers arrived instead and didn't seem to take too kindly to her telling them to leave her bedroom. To be fair, this is the police version: "El Reno police said they were forced to taser an 86-year-old El Reno woman last week who was threatening to kill herself and threatened officers with a kitchen knife." Nevertheless, I'd say they may have overreacted. 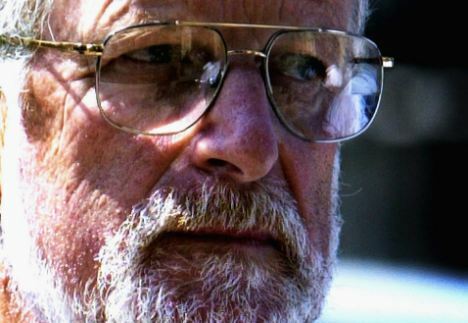 The official story of Dr David Kelly is that he took his own life in an Oxfordshire wood by overdosing on painkillers and cutting his left wrist with a pruning knife. He was said to be devastated after being unmasked as the source of the BBC’s claim that the Government had "sexed up" the case for war in Iraq. A subsequent official inquiry led by Lord Hutton into the circumstances leading to the death came to the unequivocal conclusion that Kelly committed suicide. Many believe the truth about the manner of Dr Kelly’s death has never been established properly. Some even fear that the 59-year-old, the world’s leading expert in biological and chemical weapons, was murdered. Of course, it would be easy to dismiss these sceptics as wild conspiracy theorists — but for the fact that they include eminent doctors and MPs. New revelations include the ambiguous nature of the wording on his death certificate; the existence of an anonymous letter which says his colleagues were warned to stay away from his funeral; and an extraordinary claim that the wallpaper at his home was stripped by police in the hours after he was reported missing — but before his body was found. Further, it now emerges that unpublished medical and scientific records relating to Dr Kelly’s death — including the post-mortem report and photographs of his body — have been secretly classified so as not to be made public for 70 years. The CIA was not merely wrong in claiming that Saddam Hussein was "actively seeking" nuclear weapons. The evidence was sparse, fragmentary, thinly supported, inconclusive, and, in crucial instances, flatly contradicted. The administration needed a scary intelligence estimate that would stand up long enough to persuade Congress to authorise war. This one did the job for 3 reasons: because the administration had created an atmosphere of crisis that Congress was too timid to challenge or resist, because the CIA put its authority on the line by claiming it had "high confidence" in its findings, and above all because the evidence was secret. To read the CIA’s estimate now is shocking; nothing in the grab bag called for the haste to act insisted on by the President at the time. The nature of the error (fluffing up the casus belli demanded by the White House) as well as the magnitude of the error (wrong in every particular) tell us what we need to know. Germany went out of her way to warn the CIA against trusting old reports about Iraqi biological programmes from the agent known as "Curveball" — warnings that CIA director George Tenet not only ignored but said he had never received. When you know what the president wants, you know what the CIA is doing, and when you know what the CIA is doing, you know what the president wants. In the fall of 2002 the President wanted war, and the CIA did its bit to give him what he wanted. Michael Leunig lives on a farm and doesn’t send his children to school. Instead, he teaches them himself and let’s them have adventures with kangaroos, horses and mud. He believes creativity is the way through life and is the strength that tackles problems in the world. In 1999 he was made an Australian National Living Treasure. Although the current health care costs of healthy retirees are lower than those of the unhealthy, the healthy actually face higher total health care costs over their remaining lifetimes. To illustrate, the expected present value of lifetime health care costs for a couple turning 65 in 2009 in which one or both spouses suffer from a chronic disease is $220,000, including insurance premiums and the cost of nursing home care; 5% of them can expect to spend more than $465,000. The comparable numbers for couples free of chronic disease are substantially higher at $260,000 and $570,000, respectively. Explaining this somewhat counterintuitive finding: sicker people have higher temporary medical costs, but they die earlier, so their total costs are far lower than healthy people's total costs. For the mathematically inclined, this is true even when lifetime health care costs are discounted in terms of current dollars. This ought to be obvious, but there seems to be some sort of psychological block that keeps people from getting it. So let it be said once again: healthier people, because they live longer and will need increasingly expensive age-related health care for longer, have higher lifetime health care costs. Health care is therefore the ultimate hedge in times of economic crisis. Not only is it the last area that people cut back, it doesn't lose value in good times, as gold does. As a percentage of the economy, health care overshadows sectors far more subject to economic fluctuations, such as energy. Via the New Shelton wet/dry. Hong Kong company Wicked Lasers has manufactured "the most dangerous laser ever created," a lightsabre with a blue beam that can burn retinas and set skin on fire. The Spyder III Pro Arctic features a 1-watt laser the company warns is the most powerful portable laser available. The beam is 1,000 times more powerful than sunlight on skin and the manufacturer warns it could cause cancer. It’s definitely not something you want to give to your 7-year-old Star Wars fanatic. For your convenience, the Arctic comes packaged with free safety glasses and a warning to watch that the light does not reflect from shiny surfaces into the eyes of people or pets. The cost is about US$200. According to Australia Customs, written permission is required before importing to Oz any hand-held laser device with "an accessible emission level of greater than 1 milliwatt". The maximum penalty for importing one without approval is A$110,000 or 3x the value of the goods, whichever is greater — which means that anyone in Australia who purchases a laser online could run into real trouble. Robert T Bigelow, a native of Las Vegas, made his fortune in real estate including the Budget Suites of America hotel chain. He has said he is willing to spend up to $500 million of his own money to make his space stations a reality. So far, he has spent $180 million. The key to Bigelow’s space station designs is inflatable habitats, which allow structures to be tightly packed for launching and then to be inflated in space. The first Bigelow station is to be assembled in a series of 7 launchings in 2014. When complete, it will have room for 12 people. The leasing cost of a 3-person Sundancer habitat is a little under $279 million a year, if a company or nation signs up for a 4-year lease. The price includes transportation to and from the station for 8 people a year. The lease for the larger, 6-person BA330 habitat is $394.5 million a year, which includes 12 rocket rides a year. 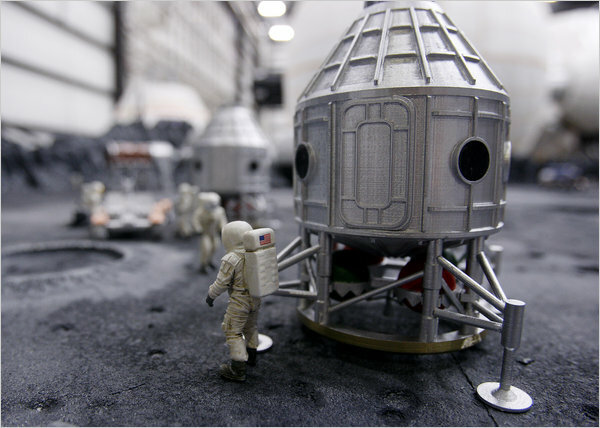 The company feels that inflatable structures can also be used for a lunar settlement. But there is one space-related issue that troubles Mr Bigelow, one on which he feels the need to obtain, even at potentially great cost, the best counsel available: UFOs. It is not clear whether he fears that UFOs will interfere with his future orbiting hotel chain or if he believes that UFOs harbour some secrets of propulsion or anti-gravity that his engineers might someday be able to put to good use. Whichever it is, he's contracted MUFON, the largest UFO group in the US, with potentially very large sums of money for the pursuit of first-hand UFO information. Geghart Monastery is a monument of medieval Armenian architecture. The original, called Ayrivank, or "cave monastery", was founded at the beginning of the 4th century. The present name traces back to the 13th century when, as legend says, the spear — the "geghart" which wounded Jesus at the Crucifixion — was allegedly brought to Armenia by the Apostle Jude. Relics of Apostles Andrew and John were donated in the 12th century and pious visitors made numerous grants of land, money, manuscripts, et cetera, over the succeeding centuries. Nothing remains of the original structure (plundered and burned in 923 by Arabians). The existing monastery dates to the 12th and 13th centuries. Under the princes Zakharia and Ivane, the main temple, vestry, and cave church were built. The chapel of Gregory the Enlightener, built before 1177, stands high above the road, 100 metres away from the entrance to the monastery, partly hewn into solid rock; its composition was largely influenced by the shape of the existing cave. The adjoining rectangular chapel has a horseshoe-shaped apse connected by passages and annexes hewn at various levels. Traces of plaster with remnants of dark frescoes show that there were once murals. The acoustics are great throughout — in one of the rooms, a single person singing can sound like a choir. The spectacular towering cliffs surrounding the monastery are part of the Azat river gorge, and are included together with the monastery as a UNESCO World Heritage Site. There are about 3 dozen in all and many had tragic results. 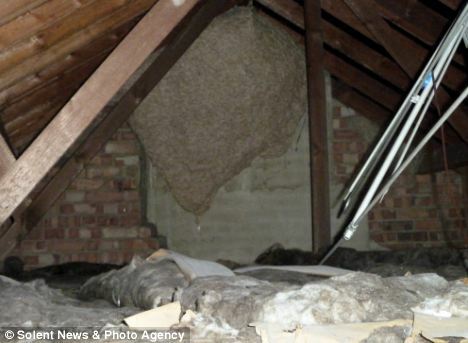 Pest controllers called to a pub discovered a huge wasps' nest in the attic the size of a double bed mattress. The 6 feet by 5 feet nest in Southampton, Hants, was 15 times bigger than the UK average and home to up to 500,000 wasps. It was discovered around a chimney stack. Kevin Higgins, from the British Pest Control Association, told the Southern Daily Echo: "It’s certainly the biggest I have seen and would be a UK contender. But I believe the largest ever was found on a farm in New Zealand in 1963 and measured 12 feet long by 5.9 feet wide." Using a telescopic pole, they cracked open the top of the nest and squirted the colony with a powerful insecticide. Kind of sad in a way. Images from the International Garden Photographer of the Year competition: The finalists were whittled down from more than 20,000 entries. At left, Colin Roberts took a photograph of a tree-lined landscape, at first light in spring in southern England. "The misty atmosphere diminishes the tones of the most distant trees, helping to convey a feeling of depth in the scene," he said. At right is a Nature photography entry: Twilight of the Giants, Botswana 1989, by Frans Lanting. This image has been selected for the International League of Conservation Photographers (ILCP) 40 Greatest Nature Photographs of All Time. Slideshow. Heatstroke, a potentially deadly consequence of exercising strenuously in the heat, remains poorly understood — misunderstood, even. Medical experts know it occurs when the body’s temperature soars during exertion on a hot day, damaging tissues and organs. As a person exercises in the heat, blood gets diverted to the surface of the skin for cooling. The hotter the person gets, the more blood is diverted — as much as 25% of the body’s blood can end up going to the skin instead of to exercising muscles and to organs like the intestines, kidneys and liver. One result can be heat exhaustion — the person may collapse, unable to continue exercising. Heatstroke is more serious than heat exhaustion, characterised by delirium or coma. The first thing that should be done is to immediately cool the person, with an ice bath or cold water, or cold towels. But the real damage can be insidious. Long term damage can occur because the gut, lacking sufficient blood, gets leaky. Toxic substances excreted by gut bacteria can seep out resulting in inflammation that can cause serious damage to other organs, especially the liver and kidneys. One study of distance runners who had heatstrokes and repeated liver biopsies indicated their livers were still recovering 4 months later. And a study by the Army’s Research Institute for Environmental Medicine found that 30 years after soldiers had heatstroke they were at increased risk of death from liver failure and other organ damage. Something in your gut could be making you fat — and it isn't just last night's pizza. The vast, diverse community of microbes inhabiting the intestines, scientists are finding, can influence metabolism and weight. Between 10 trillion and 100 trillion microbes, mainly bacteria, dwell in a person's colon and small intestine. They function together almost like another of the body's organs, influencing, among other things, how many calories are extracted from food and whether the body needs to make — or to burn — fat. Bacteria that draw maximum calories from digesting food would have been useful to hunter-gatherer ancestors. They are much less beneficial for modern people eating a fast-food diet. In addition to ready access to high-calorie eats, the bacteria we carry around have changed through antibiotic use, improved hygiene, and cleanliness in the food supply. This could be one environmental cause for obesity and related conditions such as diabetes. Every person carries at least 160 different kinds of gut bacteria, most falling into two phyla: bacteroidetes and firmicutes. Both groups grow in soil and water as well as in animals. Some cause disease, but many are beneficial. Firmicutes are good at digesting food. The more firmicutes in a person's intestines, the more calories are collected from a meal. Art installations from the "Dead or Alive" exhibit at the Museum of Arts and Design in New York City. 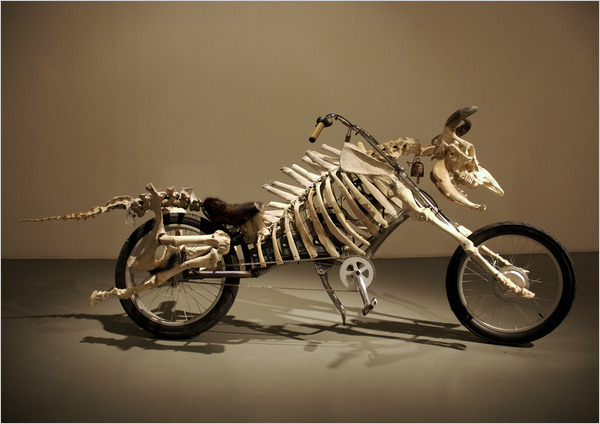 Mad Cow Motorcycle, 2008: Cow bones, bicycle frame, electric motor. 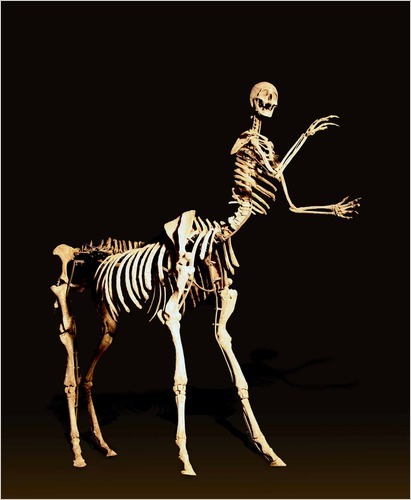 Sagittarius, 2005: Bone, bone meal, glue. 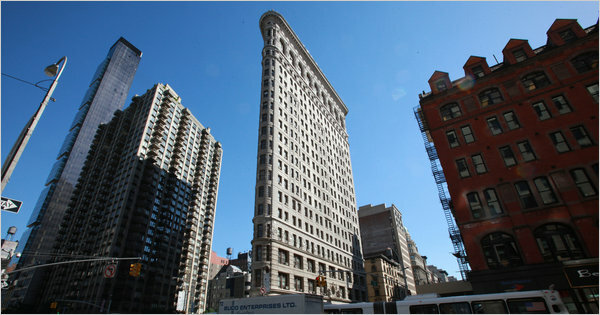 The Flatiron Building’s triangular shape and location at the junction of Broadway and Fifth Avenue at 23rd Street, have made it a New York landmark. But that 180,000-square-foot grandeur is skin deep: the interior is a warren of awkward spaces that don't easily accommodate modern office furniture or encourage casual collaboration among workers. The 21st floor, added in 1905 (3 years after the building was completed) can be reached only by taking a 2nd elevator from the 20th floor. The old elevators (subsequently replaced) were run with water pressure and were slow and bouncy. "You needed a plumber to fix them, not a mechanic," said the superintendent. The elevators were so pokey that one executive claimed he could read an entire manuscript while waiting for one and then riding it up. Mr Murphy lived in a high-rise right across the street from the Flatiron for 15 years. "My commute," he said, "was a half hour." And the men’s and women’s bathrooms are on alternating floors. The spacious bathroom on the 18th floor, by far the building’s best, offers a view all the way to New Jersey. Macmillan Publishers rents the whole building except for commercial space on the ground floor; 8½ years remain on their lease. The building's new owners want to then turn it into an upmarket hotel. "I never, never want to leave," said Matthew Shear, executive vice president and publisher at St Martin’s, whose curved windows on the 16th floor at the prow give him a stunning panoramic view of the city and beyond. "People want to stay in this building, even with its foibles," Mr Shear said. "You see these strange little offices. There’s nothing cookie-cutter here. I mean, did you see the 21st floor?" he asked, laughing. "It’s like a place you’d put your mad aunt." Slideshow. Consider them keys to the city — anyone who gets a sudden itch to tickle the ivories will be able to play free public pianos throughout New York City, from the Coney Island boardwalk to the Metropolitan Museum. An art installation touring the world is making its first US stop beginning Monday. For 2 weeks, players can play tunes on pianos all over New York City, at famous landmarks like Lincoln Centre, the foot of Brooklyn Bridge, the Staten Island ferry terminal and Central Park's bandshell. The concept, devised by British artist Luke Jerram, has put more than 130 pianos in parks, squares and bus stations since 2008 in cities including London, Sydney and Sao Paulo. Now it's New York City's turn to play. Each of the 60 pianos to be installed throughout New York has its own attendant responsible for its care. That involves unlocking the keyboard at 9am every day and deploying a heavy tarp over the instrument if it rains. After the art installation concludes, pianos will be donated to schools and hospitals. For the 2-week duration of 21 June through 5 July 2010, the pianos will feature formal and impromptu concerts by students, tourists, children, nannies, lawyers, doctors, merchants, and artists in an open festival of music involving all elements of New York's culturally diverse population. What it means: "Super beautiful" women have waists 1/3 smaller than hips and ¾ of bust measurement. They have longer legs and slimmer thighs and calves than average. What it means: The physically ideal man is more than 6 feet tall, with legs the same length as his upper body. The leg-to-body ratio of 1 makes him appear more muscular, which is why the ideal BMI for men is higher than for women. Christian Bale hasn't always been "perfect", however. He starved himself for over 4 months prior to filming The Machinist in 2003 as his character, a machinist who had suffered from chronic insomnia for a year and had progressively lost weight, needed to look drastically thin — to the point of severe emaciation. Allegedly, Bale's eating consisted of one cup of coffee and an apple or a can of tuna each day. According to the DVD commentary, he lost 28 kilograms (62 pounds), reducing his body mass to 54 kilograms (120 pounds). Bale wanted to go down to 45 kilograms (99 pounds) but the filmmakers wouldn't allow that due to health concerns. His weight loss is said to be a record for any actor for a movie role. Unfortunately, he also took up smoking to help him curb his appetite when he was crash-dieting. Bale found that his weakened condition caused problems in the more demanding action scenes. He found running a particular problem as he simply had no leg muscles left. He claimed that he actually enjoyed losing so much weight, often finding himself in a euphoric state due to the extreme condition he subjected himself to. He later regained the mass (and therefore his perfection) plus an additional 18 kilograms (40 pounds) through weightlifting and proper eating, in preparation for his role in Batman Begins. Slideshow of people who gained or lost a notable amount of weight for a role. When Surya the orangutan meets a hound dog by the river, the two carry on like long lost friends. This video only seems to work for people in the US (which is where I was when I saw it and now I can't view it again). wat r u doing l8r? brb i hit a trk. (I like the rhyming couplet at the end.) Via Tywkiwdbi. strangers to Ourselves: Discovering the Adaptive Unconscious by Timothy D Wilson"> We often find ourselves wondering what people will do next. Will partners still love us? Our employers keep us in work? Will that old lady jump the bus queue? Or, even, who will form the next government with whom? Elections turn prediction into a national obsession. When contemplating predictive dilemmas people often evoke the folk wisdom that the only person who can truly know what will happen next is the person in question. Thoughts and motivations are private affairs to which introspection gives privileged and unique access only to ourselves. The potential revelations promised by glancing, if only for a moment, into the minds of our loved ones and leaders are almost intoxicating. Unable to do this, however, we concur with the folk wisdom that each of us knows ourselves best. But wide-ranging psychological research shows that when it comes to predicting our own behaviour other people can be as good, or likely even better, than we are. We see ourselves as more consistent, admirable and steadfast than we turn out to be. We forget contrary behaviour and previous weakness and focus on being better. In contrast, other people can only base their predictions on behaviour they have observed. This gives them a factual edge. They know you are always late, don’t stick to diets, drive too fast and tend to forget birthdays. Their judgement is not clouded by resolutions to reform oneself and the self-preserving instinct to not dwell on past misdemeanours. Friends and family can know you better than you know yourself. Via the New Shelton wet/dry. US Presidential candidate George C Wallace was paranoid that he would be assassinated. He said, "Somebody’s going to get me one of these days. I can just see a little guy out there that nobody’s paying any attention to. He reaches into his pocket and out comes the little gun, like that Sirhan guy that got Kennedy." Wallace stood behind an 800-pound bullet-proof podium each time he delivered his stump "law and order" speech. On 15 May 1972, Wallace stood out from his podium, took off his suit jacket and rolled up his sleeves to shake hands with people at a shopping centre in Laurel, Maryland. He usually wore a bullet-proof vest but that day it was too hot. Arthur Bremer, stepped out from the crowd and fired 5 times, all bullets hitting Wallace. Bremer was immediately arrested. Wallace’s reputation meant that many people would have expected his shooter to be black, but Bremer was a blonde 21-year old Caucasian who, according to his infamously demented diary, wanted to kill either Nixon or Wallace, not for political purposes, but to assert his virility. Wallace survived the assassination attempt but would be paralysed from the waist down for the rest of his life, his presidential ambitions forever eclipsed by a hostile press that preyed on his haplessness. Bremer was sentenced to 53 years in prison. His diary went on to inspire the 1976 movie Taxi Driver which in turn inspired the assassination attempt on Reagan by John Hinckley Jr. Via Iconic Photos. This is Manny, the CEO of our animation company, Thaumaturgy Studios Ltd. As you can see, he can perform feats of magic. That's why we hired him. for example, social justice, social security, social worker and so on.